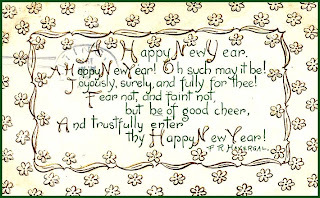 I'm giddy with 2011 excitment (just like my vintage postcard) so I'm going to try and spread the cheer with my first giveaway of this glorious new year. Andrew Henry and I recently purchased some new Paddywax candles. He picked out this scent which at first I thought was just okay, but now that it's filling my office, I love it. This is good news for you because I got some for you too! I'm giving away this diffuser and two candles, a set of 3 Paddywax Olive Tree goodies to fill your home with deliciousness. Isn't that orchid pretty? A friend brought it to my Christmas party - now I have to try and keep it alive - I don't have a good track record. To enter - just leave a comment on this post telling me one of your New Year Resolutions, if you don't have any, just say hi - that's it. Make sure I have a way to contact you. You don't have to follow or tweet or facebook promote but if you want to, feel free to leave extra comments telling me and you'll get extra entries. Thanks. No resolutions for me this year, instead I'm framing my world around the word 'light'. I'm going to post about this later in the week but I think that winning this gorgeous giveaway would be a perfect way to add some scented light into my world! I guess my resolution is to perservere, if only I could spell it right! Since the hubby is deploying, I need to push forward and pull through the long time away. Crud Jeanette! You've got insomnia too??? So, blogging with insomnia = fun. Cleaning house with insomnia ... not as fun. Will you get to l=sleep during the day? I'd love to win your giveaway! So I'll tell you another of my goals: Get my husband to make our 3rd garage into another room. As I proclaimed on my blog... I usually do not make resolutions, except for learning to wave like the Queen... But this year I made one to do more ART ! Hi jeanette - what lovely scented give away. I'm trying to put a little something in many of my rooms to add another level of sense enrichment!! Oh, I love Paddywax! Olive tree sounds wonderful. I don't really make resolutions. I just like to look back on the year prior and see if there are any lessons for me to take into the new year. I haven't done that yet though. ;) All in good time. Candles are one of my many favorite things!!! This year I am simply trying to spend more time with my loved ones. Oh la la! I have several projects that need to get done. So I have forced myself to now have a Monday post entitled monday makeovers in the hopes I will be reminded I cannot lollygag. PS. I can't cut a strait line either. I just snip and then tear the fabric. Sounds awful. Works great. one of my goals this year is to save money + consume less. Those orchids are beautiful! Good luck with them. I'm the same way. One of my resolutions this year is actually to start an herb garden. I killed my last one pretty quickly, so we'll see how it goes. My new years resolution is to just keep up with my 101 in 1001 list. I want to check lots of things off my list this year! I'm not eligible for the giveaway...love the diffuser and candles! No resolutions but 'motivation' and 'motivate' are good words for me for 2011. P.S. I love the verse on the postcard! Hahah- well just 'hi' then. Great giveaway- I have a bad track record with orchids- they are so sensitive. My New Year's resolution is not to make a New Years resolution!! same as last year really!!!! Not for the give-a-way - but I'll share one small part of my resolutions - To be kinder in every way; in thoughts, words and deeds. To show the same grace and forgiveness I have been given to others and to look for the good in everyone and each situation. My resolution is to workout at least 3 times a week. No resolutions for me, sweet Jeanette. What a great giveaway! I get so excited over candles and diffusers and olive scents! Good luck with the orchid, it sure is beautiful! Stay calm and smell the flowers! That's an old standby. Love orchids. Tell you the truth, never tried growing them. Beautiful, classic flower! What a wonderful give-away, thank you! Running...miles and miles without injury. Lastly, getting myself to France! Also I want to spend more time with my family because life is short and time flies. 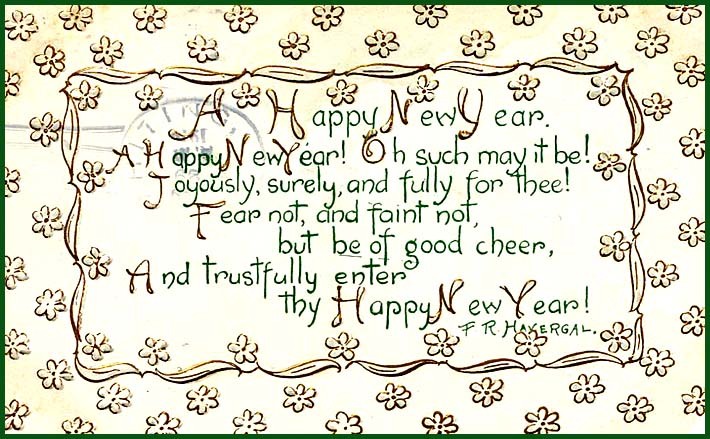 This year I resolve to laugh, sing, write poems and have lots of fun. never heard of that brand of candle but it is pretty. i got a mexican pumpkin and have enjoyed burning that. don't try to do much w/the orchid. i find the less i do, the longer it lasts. they like it by the sink / window. i rarely water. like once or 2x a month. new years resolution: people first, then money (save more), then things....suzy orman's rules. my new years resolution was to have just one per month - to stay on top of my goals! Oh, peace and joy!! A calm strength. I would love this!! Thank you!! Resolution: to exercise courage in my life. I don't think I'm the bravest person, but I think I should take more initiative. Will be more successful that way. I'm a bit late in entering, but fingers crossed that i'll be your lucky pick! My track record for taking care of flowers is very bad! I don't have a resolution but maybe that should be it...learn how to take care of plants! My resolution for this year is to find joy in the little things. Life can get complicated and you can miss out on so much.